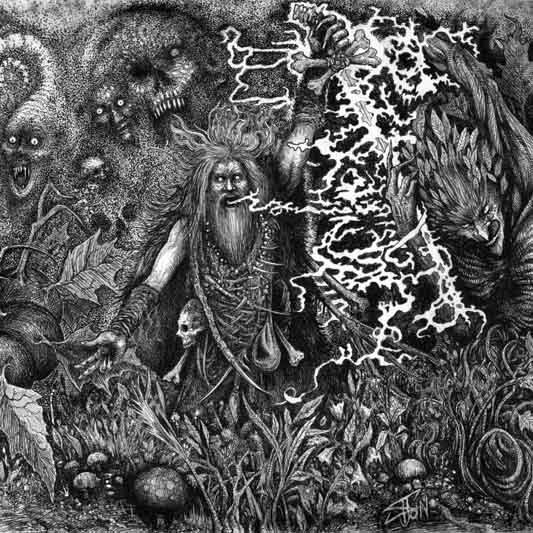 Black metal has been built on the foundations of battling christianity, but it has since then expanded to cover almost all cults and religions humanity has known in the distant past to those some people still practice today. Animism, usually described as a belief system of indigenous peoples, is convinced that every object, creature or a place has an ‘anima’ or spirit. The German trio Werian (their name comes from an old german word for transformation from human to a wolf) have joined black metal with doom and added occasional occult rock influences and some straight psychedelic moments to create the right background music to the stories they tell. Guitars and bass together build a sonic wall that hides vocals behind it and occasionally, the growls will come through the wall. To add up even more to this combination, they have recorded their whole album in a live setting and with only analog devices.